2" Cast Aluminum Sign Letters - Painted - Craw Clarendon Cond. 3" Cast Aluminum Sign Letters - Painted - Craw Clarendon Cond. 4" Cast Aluminum Sign Letters - Painted - Craw Clarendon Cond. 6" Cast Aluminum Sign Letters - Painted - Craw Clarendon Cond. 8" Cast Aluminum Sign Letters - Painted - Craw Clarendon Cond. 10" Cast Aluminum Sign Letters - Painted - Craw Clarendon Cond. 12" Cast Aluminum Sign Letters - Painted - Craw Clarendon Cond. 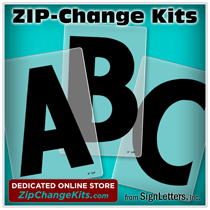 15" Cast Aluminum Sign Letters - Painted - Craw Clarendon Cond.